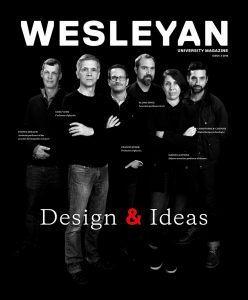 I was saddened to read in Wesleyan magazine (Issue 1, 2015) of the death of Professor Creeger. He was my freshman English professor during the school year 1955–1956. While saddened, I was also reminded again of what a wonderful person and teacher he was! He helped me immensely! When I got my grade from him on my first paper, I was awakened to a need to improve. When I talked to Professor Creeger about my writing and low grade, he not only told me I needed to improve, he also offered to help me do so. He said if I would complete any writing assignment three or four days in advance of its due date and if I gave him a draft, he would critique it and help me improve my writing. As a result of his help, I improved. Doing so helped me tremendously during the years since, not only in graduate school, but more importantly in my business career! I have been—and still am—very, very grateful for the help he provided to me.